The usual Open Thread rules apply: be concise, be charitable and, above all, be amusing! We have had a string of cloudy cold days in Northern Michigan. We expect it, mind you, but when the sun is setting by 5:40pm it seems to truly get gloomy. Sometimes a cloud a hide a star. Sometimes our selfishness can hide God. Despite the clouds and despite our selfishness, the star still shines and God still loves. Despite our current crisis of faith in our church we must remember that this too shall pass. God will not abandon His church and our prayers will help our selfishness to blow away. That the Son will shine again in us and others will be warmed by His Light. New vocations to the priesthood will Bloom and their instructors will not prey on them as past wolves did. We must see to it. For what are clouds? A temporary annoyance hiding the everlasting Light. Your welcome..but all thanks belongs to God. We must recall the Forty years in the desert….how long indeed. Saying that to a mom or dad who had a son messed up by a “pastoral event,” is the most difficult thing one to tell them…but even in their case, patience. ….most difficult thing one could tell them…. The Supreme Sovereign Being is a community of love. The three sovereign Persons in the Blessed Trinity is the First Family of God, Father, Son and the Holy Spirit. The First Family of God in the Holy Spirit of God is the first communist party…the infinite communist party. Atheistic communism, in excluding the First Family of The Supreme Sovereign Being, God, the three sovereign Persons of God, has no right to call itself communism, for like any state, instituted by the sovereign personhood of its citizens, communism is finite. Only the communism of the infinite Supreme Sovereign Being brings creation, love and mercy to people in infinity, or as for the person in eternity. Tyranny over Jesus Christ, the God-man, the second Person of the first family of the Supreme Sovereign Being, the community of love that is communism, is the obliteration of the Word of God and the eradication of sovereignty of every person ever created. Israel is a theocracy. A theocracy based on the Supreme Sovereign Being is freedom. A theocracy is communism with God in eternity. We have as many religions as we have persons…all. When each individual is defined down to the sovereign personhood created by “their Creator”, we will have peace on earth and good will toward men. Ben Shapiro says that some people believe that history ends with the birth of Jesus. It is prophecy for the coming of the Messiah that ends with the birth of Jesus Christ, for Emanuel is with us and all prophecies about Jesus Christ, the Messiah, are fulfilled in Jesus Christ. Actually history of the human race begins in Eden and continues to this day. History of the God of Abraham begins with Abraham and continues to this day. History of the Word of God, Jesus Christ, the Logos, begins with the Incarnation and continues to this day. Doctor Jordan Bernt Peterson is to Canada and the world what Saint Joan of Arc is to France and the world. 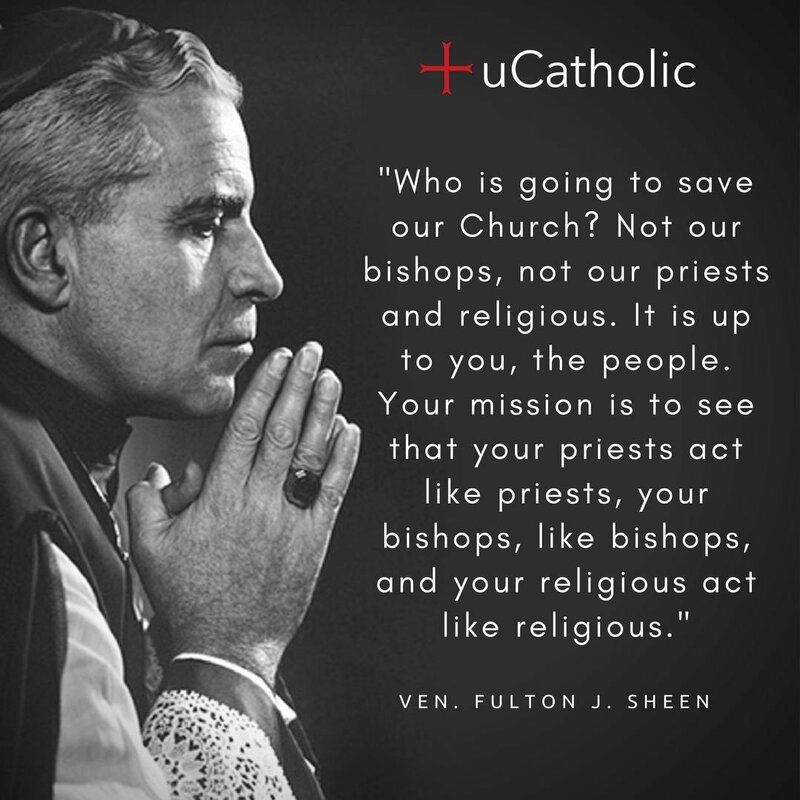 God bless The American Catholic. Many prayers. He is a modern day hero in my opinion. When Mary said “YES” to the Angel Gabriel, Mary’s “YES” resonated through her whole being for all eternity from the very first moment of Mary’s existence to Mary’s assumption into heaven and for all of eternity. As if to say the prequel to Mary’s “fiat” is Mary’s existence. “prequel to Star Wars”? free will perhaps lacking in informed consent. I never watched the prequels. What is wrong with them? Time to have a Mass said for Doctor Jordan Bernt Peterson. Prayers. Temporal punishment of sinners of course. In Hell I am sure there are theaters showing nothing but! God does not contradict Himself. If God contradicted Himself, God would not be God. God gave man free will so that man could freely love Him. God will not force any sovereign person into heaven. God does not and cannot change. If God changed God would not be perfect Love, perfect Justice and perfect Mercy. How does perfect Love change, except for the worse. God is perfect Being. Mary said: “My being does magnify the Lord” For Mary to say: ” My soul does magnify the Lord”, Mary would have separated her body from her soul. God said: “What God has joined together, let no man put asunder.” and Mary did not put her being asunder. Donald McClarey: Your lighthearted response is appreciated since it carries a very heavy burden of doctrine. Capital punishment, the death penalty is temporal punishment, without which, a killer in stealth may not find his way into heaven. Jake Everett has no problem insulting us by using the lower case “g” for God. I mean jake everett. May jake everett go pound salt for temporal punishment. Now, I will go watch The Star Wars Prequels. I enjoy the awesome diction and articulation, not to mention the resonance. It occurs to me that jake everett is not a real person or he, too, would have appreciated the resonance and articulation. My take is God permitted the evil of the prequels to steel our hearts for the greater evil of the sequels. Got to see They Shall Not Grow Old this afternoon (Don blogged about it here. Excellent documentary. An everyman experience of the war: enlisting, training, deploying, life in the trenches, going over the top, coming home again. See it if you get the chance. Ernst– the HTML got jumbled, I fixed it. @Ernst Schreiber: While man and woman who give informed consent to become husband and wife are partners, they each serve God in their covenant roles as head of the family and as subject to the head of the family. So as a husband who stays home while his wife works the husband is still head of the family. This will drive the feminists, the fluid gender ideologues and their ilk crazy or maybe it is already too late.